I'm known for getting quite irate at people who say to me: 'yeah, yeah, I've been to the States tons of times' Me: (knowing answers) 'where have you been?' Unknown Random Person: 'Florida and New York...' Me: *banging head against wall*. Don't get me wrong: I've been to Florida and New York, too. I've even been outside Manhattan and Orlando... I'm not saying there's anything wrong with either and I completely get why they are quite so popular with first timers, returners and families. I get it, I get it. What I don't get, however, is why you haven't been to any other states. Like Texas, for example...or Oklahoma? In fact, scratch that last one...I actually haven't been there, either. But Texas? Come on, people! There are 50 (50!!) states to choose from and they're all amazing in their own way. These are my top destinations for 2016, both from cities that I have visited previously and ones still on my list. 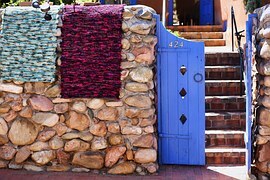 Maybe it's my love of all things Spanish, but Santa Fe sits atop my list, with its terracotta homes, dusty desert cacti, and tempting Latin inspired food. To me, it sounds like a little piece of heaven. It combines all my favourite things about road tripping across the US with the added elements of hearing Spanish everywhere I go. Santa Fe is the state capital of New Mexico and is nestled on the foothill of the Sangre de Cristo Mountains It is also the oldest capital city in the US and translates from the Spanish as Holy Faith. It is crammed with history and completely retains its old world charm, which is often something lacking in other cities, where the minute something ages it gets torn down and replaced by something taller and glossier. I can't imagine a time that Nashville won't feature on my list of must see destinations in the US. I love everything about it and have been lucky enough to visit on several occasions. 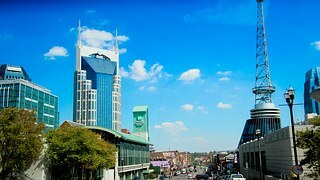 Whether you're charmed by the Southern accent, home cooked food, country music, the laid back attitude, or just sitting in a honky tonk, drinking a few Jack Daniels shots, you can't fail to be impressed by Music City. From hitting up the Country Music Hall of Fame, shouting for the Predators at the Bridgestone Arena, listening to up and coming talent in the intimate setting of the BlueBIrd Cafe, or simply sitting taking in the atmosphere at Coyote Ugly, Nashville is a very special place. Also: it's usually lovely and warm and has plenty of downtown parking (not always an easy feat), so it takes a bit of the stress out of road tripping. The closest I've been to Jackson Hole or indeed, Wyoming, is that time I went to Utah. So nowhere near is what I'm pointing out. However, through the medium of song, which is my favourite of all the mediums, I learned about the merits of JH from the lovely Miss Miranda Lambert. And she's a girl who knows a thing or two about awesome destinations (she lives in Nashville, after all), so who am I to disagree? 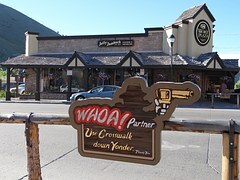 Jackson Hole has remained a largely traditional town, lying in the valley of the Teton and Gros Ventre ranges of mountains. it also nestles Yellowstone and Grand Teton National Parks, so has so much unspoilt, open space, which is perfect for a range of lazy and not so lazy activities. Jackson was named as one of the US new 'foodie' cities in 2014, so it has a lot to offer visitors in terms of its cuisine, as well as its fabulous rental lodges and stunning clear skies and rugged mountain ranges. I previously visited Utah a few years ago. Well, I say 'visited' but what I mean is 'drove through and stopped in the middle of the desert to take photos'. I did spent a night in Green River, though, which turned out to be a dry town and made me quite upset as I'd been driving for 8 hours to reach it and was desperate for a cold beer. I still had one, but it was alcohol free. Thanks for that, O'Doull's. 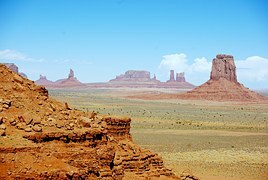 Anyhoo, I am desperate to visit Monument Valley, which is located on the US 163, close to the state ine with Arizona. It is the historic seat of the Navajo Native American tribe and, from the valley floor, majestic sandstone structure rise from the ground from anywhere between 400 ft to more than 1,000. The entire expanse of the national partk stretches across two states and covers almost 97,000 sq ft. So, you know, it's kind big. as well as driving around the sandy tracks, the Park has a range of authentic guided tours, by car, foot, or horseback (because obviously) and all sound amazing. You can also take your own car for a little drive around, but you cannot access some areas of the park without a guide. General entry fees are payable, but I'm willing to bet it's worth every single cent. OK, so I'm aware that all my selections for 2016 are in the West of the US (with the exception of Nashville) and I'm not even sorry for this. It's simply too fabulous to resist hopping in your rental and going out to explore. I've never been to Idaho, but it's always been alluring to me for the wide open spaces and cattle herding and cowboys and stuff. It's probably not even remotely like that, but I really hope it is. 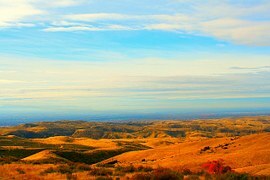 Boise is the state capital of Idaho, located in the NorthWest of the US, but not as NorthWest as Oregon and Washinton State. So, like, East of the NorthWest, I guess. Anyway, Boise sits in the foothills of the Rocky Mountains and has a large number of outdoor activities that can be undertaken in the area, should you be that way incined. I'm more into museums and sitting in bars, so there is also lots to keep me out of trouble. Boise has a very large Basque population, so in terms of culture, there's a really wonderful mix of Spanish and American traditions. The city is well known for its large Zoo, Aquarium, and World Center for Birds of Prey, as well as less animal-y attractions such as The University of Idaho, Capitol Building, and Idaho's largest Sequoia. It also boast a gorgeous looking selection of pavement cafes and bars and a very pleasant looking downtown area. 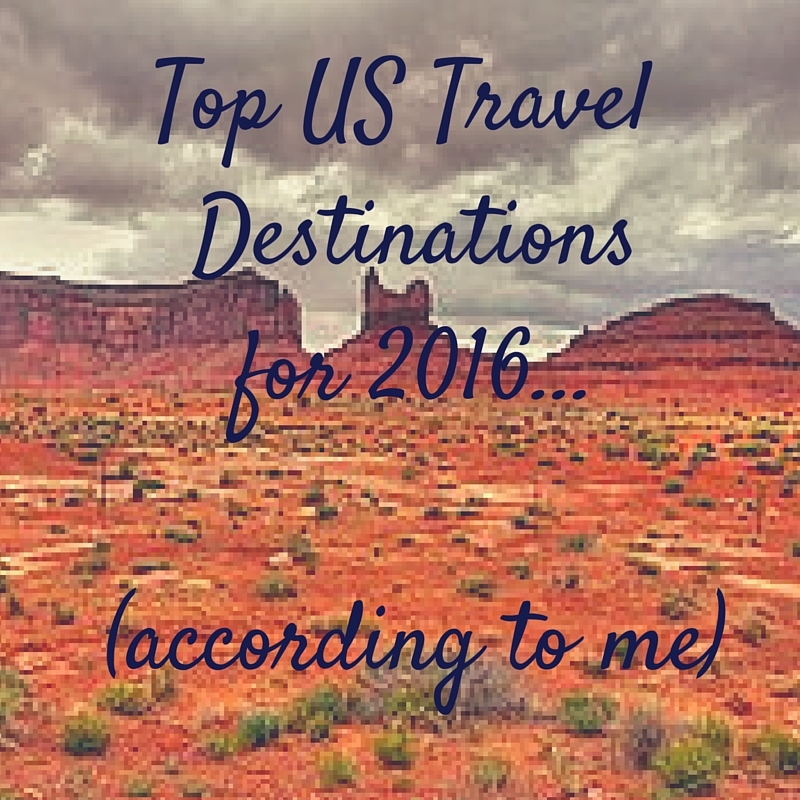 Do you have any US destinations on your list for 2016, or anywhere a bit of the usual touristy route that you can recommend?